Totally agree with all you said. 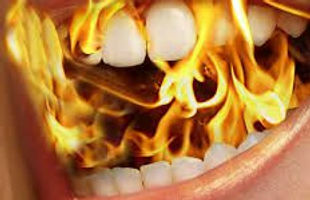 Yesterday I did a google search celebrities burning mouth syndrome — got nothing! Kathy Williams Dx Primary Sjögren’s, trigeminal neuropathy (left side of face), thought to be the cause of my horrific BMS. I have a taste distortion along with it, EVERYTHING I eat has an extreme salty taste. Probably more than you need to know but I’m retired (2 years early) due to Sjögren’s. I think you’re so right about sharing information, I try but people, even some family members just don’t get it. I am sorry you are dealing with TNS, but I have been told by several neurologists that it is unlikely that it is the cause of your BMS symptoms. However, they acknowledge that if there are other primary causes (Sjogren’s in particular) that they can cause similar symptoms. I hope you are finding coping strategies to help you and thanks for the support!